Joomla is one of the most popular Content Management Systems (CMS) on the web, aside from Drupal and WordPress. This Content Management System can power up all kinds of websites no matter what shape or size. Joomla also has amazing security extensions that can intercept hacking attacks that delete or steal information, and block unwanted website pages. With these security extensions, you can prevent attacks that can harm or damage your website. These extensions can save you a lot of money on expensive repair costs. For assistance with security extensions, you may call up a professional website development company for help not only to protect the site but also to improve its security. 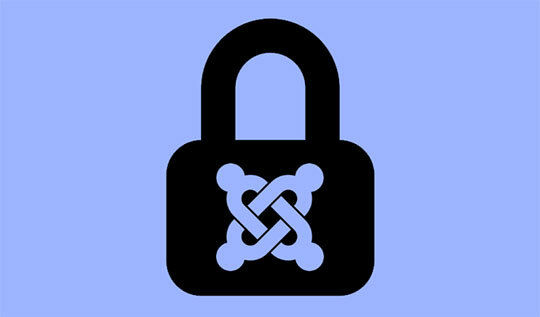 This Joomla security extension is designed to protect Joomla powered websites from being hacked. The jHackguard handles security configurations in such a way that filtering the input data of the user is done easily. It does this through the integration of PHP security settings in the system. While doing all this, it also allows administrators to carry on with their usual admin tasks without any disturbance. This security extension is available in different versions; thus, you should choose the right version to fit your site. Akeeba Backup Formerly known as JoomlaPack, Akeeba Backup is a free backup and open-source component that assists in providing a complete website backup system. Akeeba Backup is perfect for restoring Joomla powered sites and creating backup files. . This extension is also run by Ajax which means you can restore files without any server timeout. However, it is only compatible with versions 2.5 or 3. Fixing the damage caused by hacking attacks is very troublesome, not to mention expensive. That’s why it is very important to fully protect your Joomla powered site. Although there are many Joomla security extensions available, JomDefender is definitely one of the best. . It helps protect the site from hackers and has a built-in filter called corePHP which can address some of Joomla’s original weaknesses. Just like all the other Joomla security extension, RSFirewall can protect your site from hacker attacks and other intrusions. The good thing about this extension is that it automatically updates itself so that it can address all the latest security issues in the website. It comes with a set of tools that can be used in securing the site, thus, hacking can be prevented. It can also scan the entire site to identify its weak points and eventually make the necessary improvements to the site’s security. This Joomla security extension helps in administering the website and aids in improving its security. Akeeba Admin Tools is rather a unique as compared to the other security extensions because it regularly provides the users with the latest updates that can help maintain the site. . It also aids in fixing damaged files, managing redirections of custom URLs, and enhancing the website’s security as a whole. Akeeba Admin Tools also features “Web Application Firewall” to ensure that your site will be safe from small attacks. This security extension guards and protects your sites from possible threats. It warns or informs you of potential hackers that are intruding your site. It makes use of a plugin that can scan the directory structure of your site and store information at the same time. It conducts periodic scans to determine whether there are files added, changed or deleted. => Recommended reading: How to Remove Virus from your Joomla Website? This is an excellent security extension designed by Akeeba Backup Core. Actually, this is the Pro version of Admin Tools (Mentioned in point 4 above). It has an administrator restriction feature that makes use of a secret parameter and a web application that blocks common exploits. It also blocks IP addresses to ensure that your site will be safe from hackers. When you have your own website, increasing its security should be a top priority. If you want to improve the performance and security of your Joomla site, the best thing to do is to try one of these security extensions. Make websites by using the best Joomla security extension. This article is written by Pauline Etcuban. She understands the intrinsic attributes of making excellent content that suits the needs of every business especially when it comes online marketing. She can conceptualize and implement marketing plans, together with ConvertBetter, an expert of Online marketing company and Web designers helps her be a professional marketer. How to Remove Virus from your Joomla Website? jHackGuard is NO good !! Akeeba Admin Tools is the best ( from my experience) . Good Collections by the way.